Gudhi Padva (read in Marathi as गुढी पाडवा) is a Maharashtrian celebration that welcomes the spring season and marks the New Year. This harvest festival indicates the harvest festival, Gudi Padwa marks the harvest of Rabi crops. The new year festival is majorly celebrated in the Konkan area of Maharashtra; however, even the rest of the state celebrates Gudi Padwa with great enthusiasm. The celebration sees families come together, decorate the house, place the auspicious gudi and wear new clothes and prepare mind-blowing Maharashtrian dishes. In Karnataka and Andhra Pradesh, the festival is celebrated as Ugadi whereas the Sindhi community celebrates the day as Cheti Chand. One of the most common scene you will see on this day is the beautiful Maharashtrian women dressed up in 9-yard, nauari saree and flaunt their traditional look with Nath and flowers in the hair. Gudi Padwa 2019: 2 Ways to Wear Traditional Maharashtrian Nauvari (9 Yard) Saree or Kasta. 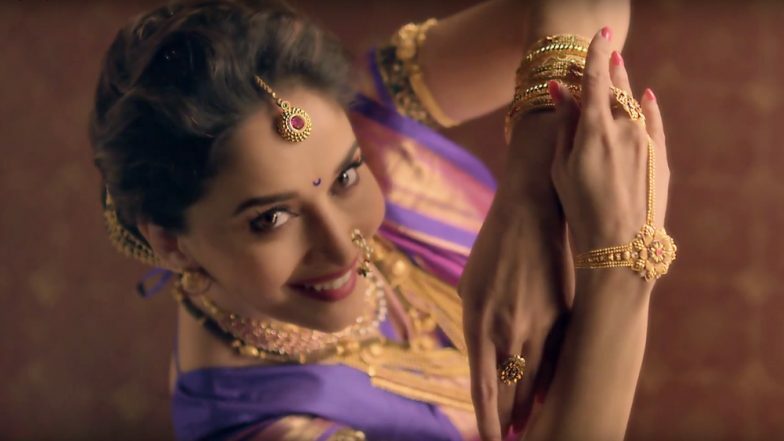 However, the look is not complete without the traditional Maharashtrian jewellery that goes with the entire look. If you are planning to buy jewellery to complement your traditional Marathi mulgi look, here are some jewellery design inspiration. Choker style never goes out of fashion! It indeed feels great to dress up the traditional way once in a while to feel amazing, especially on festivals like these. And if you are not a Maharashtrian you have all the more reasons to try the look!